If you are new to this place, it’s plenty easy to order as the menu comes with lotsa pictures. We (or rather, Kelvin) ordered five fried cincaru fish (leather jack), soft shell crab, deep fried jenahak (red snapper) with pineapple, steamed egg, fried vege, and fishball soup. All these to go with nicely cooked jasmine rice. We also asked for the very good sambal balacan, it reminds me of how my mom prepares it, nothing but balancan and red chili crushed with the old school penumbuk and serves with a squeeze of fresh lime. The cincaru fish is a must-order item, more so if you are a person who loves to have petai. Coupling with the sambal belacan, this dish is an absolute delight to have. The other speciality of Mum’s place is the soft shell crab, deep fried to a crispy texture with some strong taste of traditional spices. Very different from the way Japanese restaurants serve it. 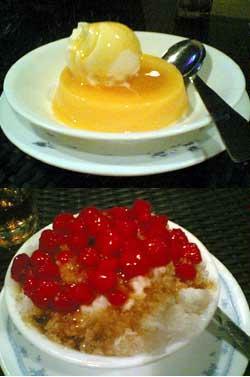 The steamed egg, fried fish topped with pineapple, vege, and fishball soup were all very good dishes as well. The different tastes and texture of the six dishes proved to be a winning combination as far as gastronimcal satisfaction goes. It was a lot of food, but we didn’t have any trouble finishing everything. 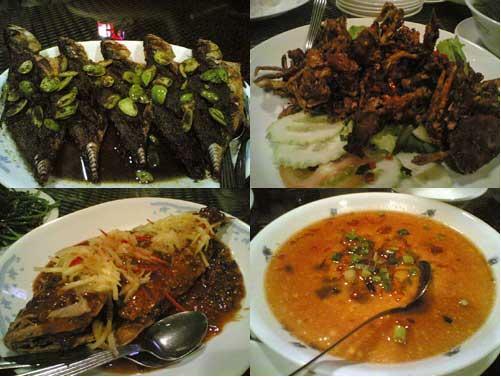 Dinner for five was around RM 250, including a couple glasses of beer and that huge plate of soft shell crab. 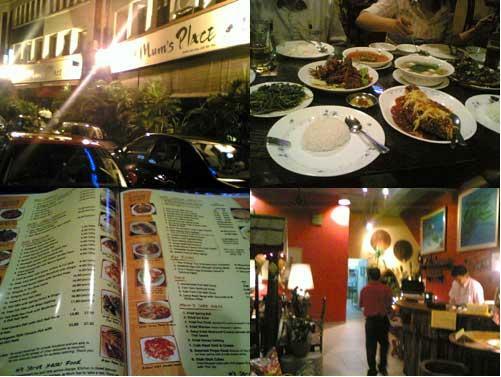 Mum’s place certainly isn’t the cheapest, but the excellent food and very nice environment more than make up for the price. I’ll definately go there again. By the way, it is Halal too. For more info, visit http://kyspeaks.com/2006/09/29/ky-eats-mums-place-at-damansara-perdana/. This entry was posted on Tuesday, November 6th, 2007 at 3:57 pm	and is filed under Chinese Food, Malay Food. You can follow any responses to this entry through the RSS 2.0 feed. You can leave a response, or trackback from your own site. Hi, I would appreciate if you could remove the map drawn by me, thanks. your food is HALAL or not………..??????????? Hi, just a concerned blogreader here. Mum’s Place number is actually 03-77278443. The fler must be feelin sad when ppl keep asking him, “Is this Mum’s Place…. ?” 🙂 But he was nice and gave us the correct number.